Click here to Download 2018 Conference Excel Worksheet to calculate totals. Only current AAV members who are registered for and attending the AAV Annual Conference are eligible to earn credit. When an AAV member has received enough credits to meet course requirements, a certificate of completion may be printed by clicking the link above, navigating to the "Certifications/Programs" tab, then clicking the certificate icon next to the completed course. This icon will only be visible once the course requirements have been met. In most cases, attendance at more than one conference will be required to meet course requirements. However, credit turned in each year will remain on file with AAV indefinitely. Credit may not be earned for any presentations occurring simultaneously. Some presentations and labs may be counted for credit in more than one category. Such courses have two categories indicated on the spreadsheet. No credit will be given for AAV Annual Conference attendees reading the posters or attending a round table. However, the primary author of a poster will receive 1 credit for the poster. One credit will be received per hour of presentation attendance. Presenters will receive two (2) credits per hour when they present. Presenters receive twice the credit for the presentation/ workshops they teach. Only the presenting author will receive credit for the presentation. If two or more authors present (shared presentation) the material during the scheduled time, all presenters will receive double credit (both presenters must have signed an AAV speaker contract to be eligible). Repeating presentations (such as master classes) and workshops during the same conference are only credited once. For example, if a presenter teaches 3 two-hour labs on surgery, he/she will receive 4 credits for the AAV Focused Course Program for Surgery – 2 hour lab x double credit for presenters = 4 credits. The presenter will receive course credit when repeating the same topic at future AAV Annual Conferences. Lab assistants are eligible for standard course credit. Presenters should place an asterisk next to courses where they were the presenter and are entering double credit. 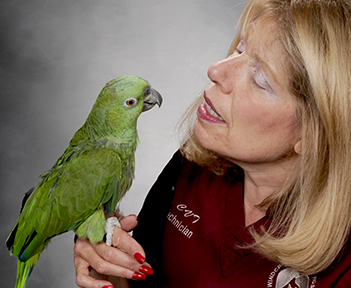 Aviculture/Population Management/Rescue/Rehabilitation-Includes those presentations/labs that primarily deal with captive groups of birds such as in an aviary, wildlife and/or rescue/rehabilitation facility.Applicable presentations are those that include captive population biology, medicine, disease and management. Also included are topics on flock handling and legislation of captive birds. Behavior/Handling/Restraint- Includes those presentations/labs that focus on bird behavior and handling. Applicable presentations are those that include normal and abnormal behavior (including specific species biology), handling restraint and grooming. Wildlife Conservation Medicine- Includes those presentations that involve all conservation and ecological related topics.Applicable presentations are those that include non-captive population biology, ecology, medicine, disease and management. Emergency/Critical Care- Includes those presentations/labs that focus on managing the avian patient under emergency conditions. Applicable presentations are those that include in-house or readily available clinical pathology, acute disease management, emergency-related surgery and supportive care, anesthesia, pain management or topics that apply to avian critical care. Finance/Management/Ethics -Includes those presentations/labs that primarily deal with finances, practice management, ethics and legal issues associated with avian practice. Nutrition- Includes those presentations/labs that focus on avian diet and dietary related topics. Applicable presentations are those that include avian diet biology, effects of food on health, disease and behavior and any other discussions pertaining to nutrients and avian medicine. Pathology/ Diagnostics /Disease/Therapy- Includes those presentations/labs that focus on avian diseases. Applicable presentations are those that include disease diagnostics (clinical pathology, radiology, etc), organic disease (excluding most behavioral diseases), abnormal physiology and management of disease including pharmacology, analgesia, supportive therapy, etc. (excluding surgical procedures). Surgery/Anesthesia- Includes those presentations/labs that focus on surgery and perioperative care. Applicable topics include all surgical procedures (cold excision, endoscopy, laser, radio surgery, etc. ), anesthesia and pain management. Welfare/Enrichment- Includes presentations and labs that cover topics pertaining to welfare and enrichment of captive birds.Applicable presentations include foraging, physical and emotional enrichments, the human/avian bond and euthanasia. What is the Focused Course Program? Members who attend the AAV Annual Conference (including our recent joint conference, ExoticsCon) in person or via webcast are eligible to log credit hours based on individual session and lab attendance. These hours can be accumulated over multiple years toward earning a certificate in various avian specialty courses. Can I receive credits for virtual conference attendance? Yes! If you registered for the recent webcast of ExoticsCon and viewed sessions online, you may receive credit for those courses. How many credits do I need to earn a certificate? Each certificate requires varied numbers of session and lab credits in order to qualify for a certificate. See details in the table on this page. How do I enter my credits? Total Your Focused Course Worksheet provided at this link. Click the “Journal Entries” tab on the Focused Course page. Click “Add Entry” for each credit type and enter the information on the form. Please enter information in all required fields. Credits do not expire so expiration date can be set to today's date with year 2100. Enter the conference year and name in the Description field - for example "ExoticsCon 2015." Your entries will be reviewed and approved by an AAV staff member within 5-10 business days. When is the deadline for entering credits? You must enter your credits no later than December 1 year of the conference to receive credit. Once you have entered enough credits to complete a course, you will be able to download and print your certificate. Click the “Certifications/Programs” tab on the Focused Course page. A summary of your completed AAV Focused Course credits from past conferences is available on this page. For COMPLETED COURSES ONLY, a certificate icon will be visible next to the course title. Click the Certificate Icon to view/print your completed course certificate.